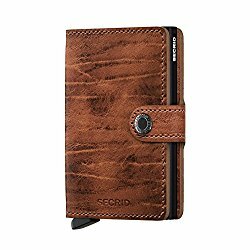 Home » Blog » What Kind Of Wallet Should I Get? As men, we all need wallets. It is important as it helps us carry all most everything we need to survive the day. It contributes to your fashion sense and cannot be left out when it comes to developing your wardrobe. There is nothing as embarrassing as taking your wallet out and people around seeing how tattered and rough it is. To save yourself from embarrassment, it is high time you purchased a new wallet. 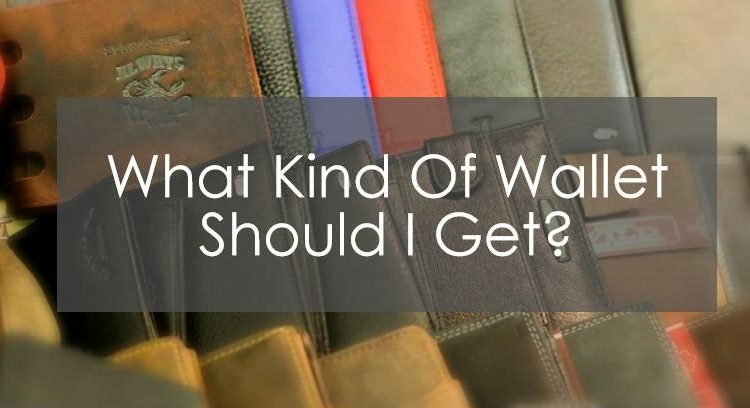 A lot of men keep asking “what kind of wallet should I get?” Are you also confused and need an answer this question? Read on; this article will show you the various types of wallet you can choose from. So what kind of wallet should I get now? Wallet varies with features. It comes in a lot of different sizes, shapes, colors, and materials. It is necessary you know the small differences before spending your cash on one. How will you feel when you purchase a wallet, and it gets damaged after few weeks of purchase? Or how will you feel if it doesn’t fit your everyday use? Bad I guess. Below are four different wallet types for men. This is a perfect way to keep your wallet size minimized. The slim wallets are beginning to gain ground in the market. A lot of men now prefer to go for it instead of any other type. This wallet is perfect for men who wish to keep their entire items in a case that is safely secured and at the same time flat. Of all the wallet types, it is the slimmest and slickest. Just as the name implies, it can help in holding your card and securing it. It is made for business and credit cards. It is perfect for big business men and bankers. So, if you are someone that loves swiping your way through life, this is just for you. This is one of the most commonly used wallets among men. The bifold wallet is basically made of leather. It offers a single fold over. The classic structure of this wallet has been the same for many years. It offers a simple design that allows you to access your cash and cards with ease. This wallet type comes in 2 variety- bifold coin and plain bifold wallet. You can put them conveniently in your back pocket and easily remove them again. Also, see our article discussing pros and cons of having the wallet in the back pocket. Since the beginning of men fashion, chain wallets have become an amazing accessory. You might feel curious when you hear about men wallets having a chain. 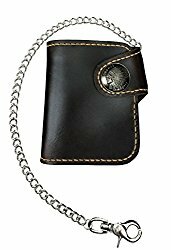 There are varieties; trifold chain wallet, bifold chain wallet, chains slim fold wallet and much more. It is perfect for bikers who when riding on the road would want to keep their items safe. This article showed 4 different wallet styles in order to answer your question “what kind of wallet should I get”. From the types of wallets discussed above, getting a wallet depends on you. Believe it or not, going for a bifold wallet is something you just can’t go wrong with. It is versatile and offers many compartments. To be honest though, we truly love the minimalistic approach of slim wallets. That is just our view though; the choice is yours to make.